The National Orientation Agency (NOA) in Oyo State, has said that despite all the persuations to stop the reprehensible act of vote buying, some desperate politicians would still imbibe in inducing voters to cheat them of their mandates. According to the Agency, vote buying constitutes danger to democracy and robs people of their rights to good governance. The Director of NOA in the state, Mrs Dolapo Dosunmu, said this on Thursday in Ibadan during the ongoing Zonal Voter Education and Sensitisation Campaign. Dosunmu appealed to all Nigerians to shun vote buying, saying “the act is reprehensible and evil’’. “Any fetters placed in the way of the electorates in their bid to exercise their rights of free choice will ultimately undermine the democratic process. “It is sad but true that in spite of serious persuasions against the reprehensible act of vote buying, some desperate politicians will still make attempt at inducing voters. “Therefore, no effort should be spared by the security agents on electoral duty to guide the process and ensure that people have faith and confidence in it,” she said. She appealed to all political leaders to shun all acts of election violence, saying that it averts the will of the people with grave consequences on national development. “We have also raised serious concerns on how to eliminate the spread of hate speech, fake news and other negative tendencies that can truncate our genuine democratic process and interaction. “Building a democratic system entails the commitment of all concerned,” she said. 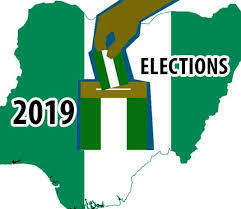 Mr Kayode Bolaji, the Project Coordinator, National Stakeholders Committee on Peaceful and Violence-Free 2019 General Elections, urged all parties to shun all forms of violence during and after the elections. “As a group, we have been involved in raising awareness and sensitisation on the dangers of electoral violence. “We know that everyone is on edge but it is important to exhibit high level of tolerance and acceptance during elections for the credible outcome. “Violence during the election could lead to inconclusive elections,” he said. The various security agencies represented at the programme reiterated their commitments to working together to guarantee a peaceful, free and fair election.